1 hr – the hill breaks!! I change out of my granny gear for the first time, I take pictures! The hills do subside after Joffre, but they are still there. It is not until after Duffey Lake do I really start to feel like the grade is in my favour. To anyone who plans on doing this ride – you will need a lot of water – I drank everything I was carrying – about 2.5 L and then had to stop and filter more between Joffre and Duffey. Neither of the parks have water – so be prepared to filter. Also the energy chews were a must! I was feeling ill when I swapped to nuts & fruit, but I don’t think they could give me energy fast enough. Also make sure you are drinking some sort of electrolyte mix – I use Nuun tablets. I was sweating profusely – somewhat reminiscent of a hot yoga class. Bit gross really. don’t get excited by a turnoff in 2km and start pedalling hard – 2 km of uphill is still really far! 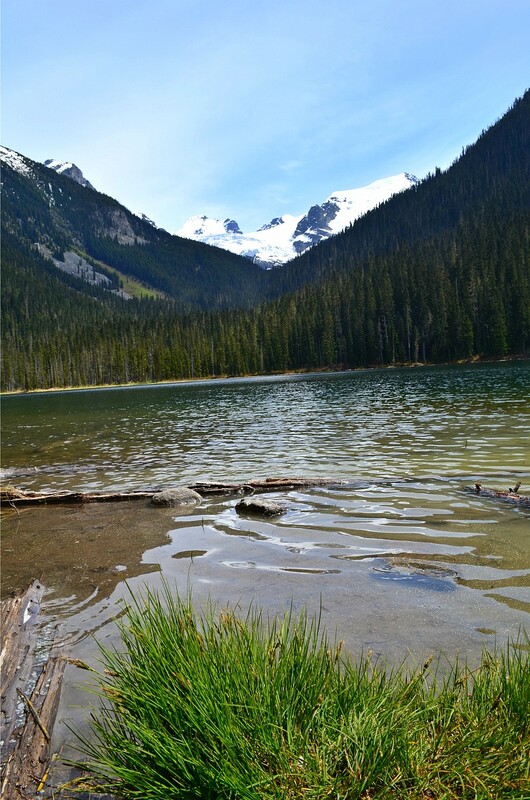 The ride from Duffey Lake to my little campground was pretty wonderful. Lots of downhill and I coasted a lot of the way. Even when I could of pedalled I just coasted slowly because I was pretty beat. I passed a bear at one point. I said Hello Mr. Bear, Go away Mr. Bear, but he just kept munching dandelions – I kept yelling at him, and puffed out my arms to look big, and cruised on by. He watched me curiously as I did. Smart bear – I must have looked like some sort of loud flying chicken. 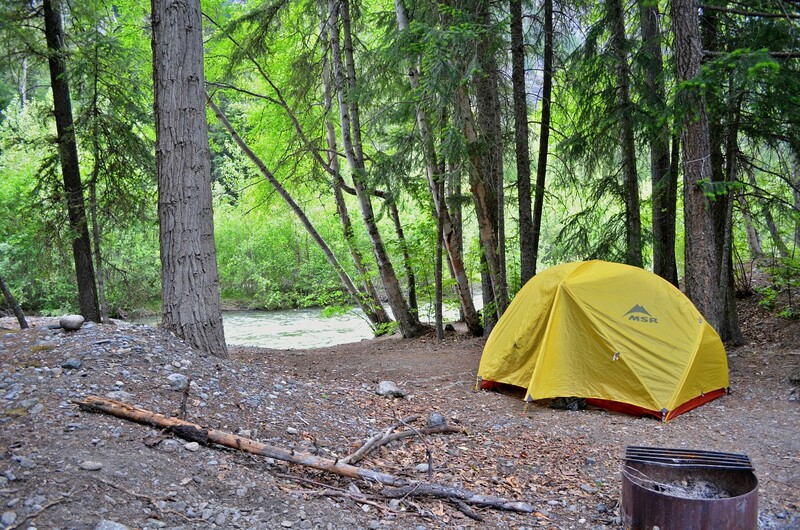 A ways after Duffey Lake, there are a series of 5 recreation areas – all offering free camping. I cruised by the first 3 because there was not anyone else staying there, and I feel safer with other people, for the time being. At the 4th site I saw other campers, so I pulled in and got right to business – washing myself and my clothes, setting up camp and cooking dinner. Couscous lentil curry with an added can of tuna never tasted so good! I got into my tent at 730pm and although I could have fallen asleep with exhaustion, I stayed up for awhile reading my book, stretching and writing the blog. I write as I go, but I can only post when I have wifi- so I am actually on Day 5 of cycling and somewhere near Cache Creek – I will catch up!! Thanks Kip! I’m not so sure… my guilty pleasure is fries with gravy! Yum yum!